One person’s ancestor is another person’s ghost—it’s all a matter of perspective. In Chinese cultures, the seventh month of the lunar calendar is called Ghost Month, a time when spirits of the deceased rise from the underworld to roam the earth. During this time, the living burn paper offerings that represent money and material goods, for their ancestors to use in the lower realms. Here, Yuling Zhong posits this flow of offerings as a form of remittance between this world and the next. Wandering around the city of Guangzhou, China, the ubiquitous skyscrapers are an inescapable reminder that this is a modern metropolis. However, if you stroll the streets of old neighborhoods during traditional Chinese festivals such as Ching Ming, you’ll notice a brisk trade in paper offerings. Flocks of middle-aged women burn piles of glossy paper in the streets, with thin clouds of smoke swirling around like makeshift altars. 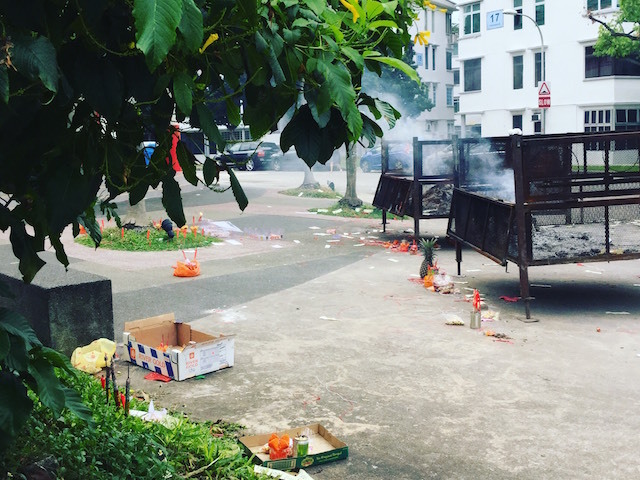 In fact, not only during the Ching Ming festival, but also at funerals, ancestors’ birthdays, or important family gatherings, if you remain observant, you will notice mounds of ash in back alleys or at street corners. A traditional Chinese ritual deriving from Taoism and Buddhism that expresses respect for the gods as well as concern for departed family members, paper offerings are the physical representation of money and daily necessities made from joss paper, including artfully-constructed clothing, electronics, and household goods. The basic notion behind burning paper offerings is that they provide for the needs of those in the afterlife, transmitted through the smoke when they are burned. In ancient China, this ritual was a regular public event to consolidate Imperial rule. According to historical documents, over centuries of vernal or autumnal equinoxes, the Guangzhou government spent enormous sums of money on this grand worship ceremony. However, the practice of burning paper offerings has caused disputes since the very beginning. Confucian scholar-officials regarded it as an unorthodox form of idolatry. Yet displaying filial piety and paying tribute to one’s ancestors by burning paper offerings is a form of ancestor worship, the central principle of Confucianism. And so, from the Tang Dynasty onwards, the ritual of burning paper offerings has gradually become a part of tradition. After the establishment of the People’s Republic of China, burning paper offerings became stigmatized as superstition. In his doctoral dissertation, Monnaies D’Offrande Et La Notion De Tresorerie Dans La Religion Chinoise, Hou Chin Lang predicted that the practice would eventually be eliminated. That turned out not to be the case, because this ritual has its roots in the worship of gods, ancestors, and ghosts that lies at the heart of Han folk religions, and has not greatly changed with the modernization of society. Interestingly, as with the rigid social hierarchy of our world, spirits in the folk religious system are sometimes ranked according to worshipers’ attachments to them, as delineated by the various types of paper offerings. The most traditional one is joss paper, made from coarse bamboo paper, decorated with a square of gold or silver foil to symbolize money. Li Yih-Yuan, the Taiwanese anthropologist, argues that joss paper with gold foil is offered to the gods, while silver foil is for ancestors and ghosts. This is a dynamic rather than a static category. As the Stanford anthropologist Arthur Wolf puts it, one person’s ancestor is another person’s ghost; it’s all a matter of perspective. So, sheets of coarse paper in various sizes with intricate details form the connection between the living and dead, individuals and ancestors, communities and gods, to guide human behavior, and influence their emotions. In modern societies, worship does not necessarily seek material rewards such as wealth. In fact, for the Han people, the idea of “fortune” is defined very broadly to include money, fame, and a stable career, but also wellness, health, and happiness, which can be achieved by making offerings to ancestors and ghosts to keep Yin and Yang, the supernatural and the natural world, in harmony. In the course of my field work, I have seen people in Guangzhou burning paper offerings on many occasions throughout the year. Making offerings to ancestors and gods is a crucial part of worship, no matter when and where. More than one interviewee has indicated that they pay their respects to the gods, but do not feel emotional intimacy with any of them. However, the spirits of their ancestors, being deceased relatives, are approachable and trustworthy, guardians of the family. If the afterlife needs of ancestors are not met, they make requests to their descendants, which might disturb the family’s peace in the world of the living. On the other hand, without assistance from one’s ancestors, the road to wealth could be more tortuous. Therefore, people worship their ancestors out of traditional family morality. Ms. X once told me that death could not make her deep attachment to her family fade away. She believed her deceased relatives led similar existences in the afterlife, and that making offerings maintained her relationship with them. As for ghosts, outsiders to the family, they actually make a great impact on individual lives and communities. In the studies of Arthur Wolf, most Han families despise ghosts as strangers, but have to treat them the same way as policemen or beggars stopping by. They make offerings to ghosts to protect the family from trouble. 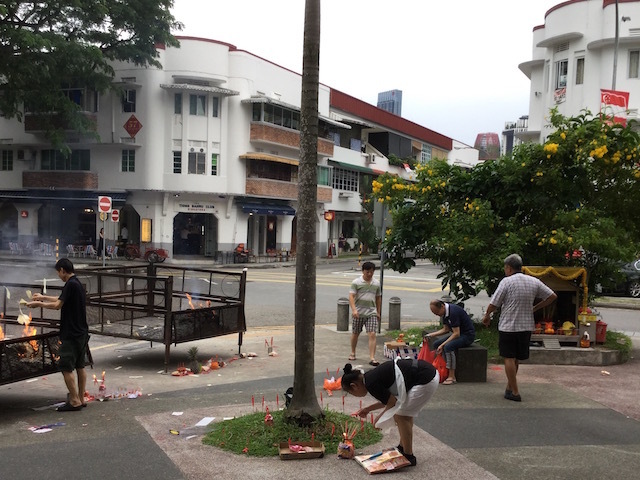 In other words, paper offerings such as joss paper are burned for others: gods, ancestors, and ghosts. Gods and ghosts can build a reciprocal relationship with human beings that transcend time and place. Ancestors, on the other hand, can help create a united family by strengthening integrity among family members. Consequently, the idea of the family in Han folk religions reinforces the custom of paper offerings, which are vital in the integration of humankind and nature, as well as harmony between Yin and Yang, to achieve the eternal notion of life and death in Han tradition. Some scholars of Han folk religions argue that it is not the rewards of political ethics that concern worshipers, but the pursuit of efficacy, which is the manifestation of power associated with particular spirits. That is to say, efficacy connects our world with the next, Yin with Yang. As Phillip Baity says, at the core of Han folk religion is a piece of circular logic: gods are worshiped because they are powerful, and they are powerful because they are worshiped by many. Thus reciprocity is demanded and a permanent link established between spiritual efficacy and devotion, meaning efficacy becomes a test for worshipers, with only the sincere receiving a response from the gods. Making offerings is the way one demonstrates sincerity. Paper offerings such as joss paper become efficacious objects that convey information and emotion between worshipers and the gods of folk religion. What’s more, even the shop owners who sell these paper offerings participate in the social construct of efficacy. One of my informants – I use the word in the anthropological sense – Ms. Z, is the owner of a paper offerings shop in Guangzhou. She repeatedly told me that she took inspiration from Kuan Yin, the Goddess of Mercy, to run this business. This bolsters the legitimacy of her skills and knowledge, about which her customers are never skeptical. It also suggests another type of circular logic: she demonstrates spiritual efficacy because she was inspired by Kuan Yin; she was inspired by Kuan Yin, and therefore manifests spiritual efficacy. Moreover, this logic is mysterious, suppressed, and unclear to worshipers, and may be regarded as the product of the supernatural world rather than the natural one. 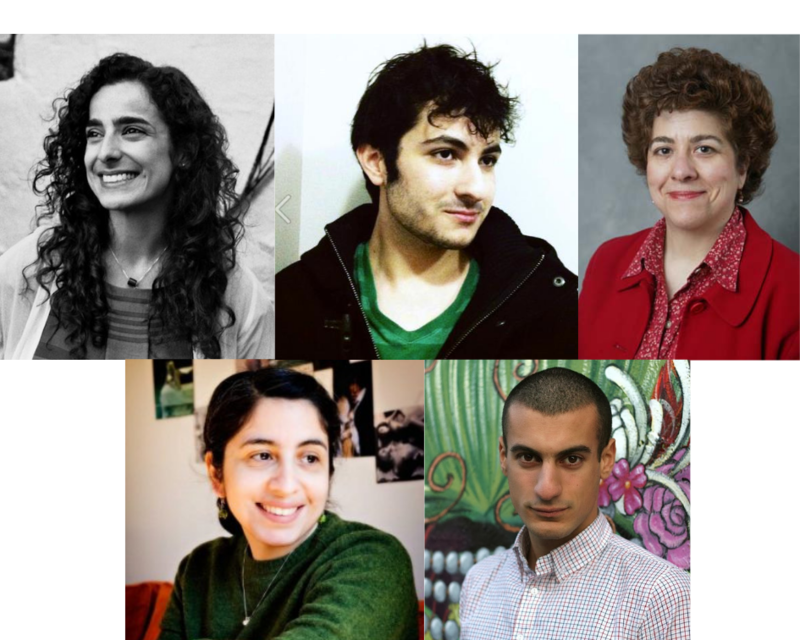 If not, it would have failed to ignite the collective imagination. Although shop owners and customers have forged a connection based on spiritual efficacy, paper offerings are commercial products as well, and economic decisions make this relationship vulnerable. Therefore, the circular logic that supports the efficacy between this world and the next should be viewed by customers by another means that can link these two worlds. Only then can the supernatural world provide efficacy in the natural one. Dreams provide this connection. In dreams, ancestors provide their descendants with information and even steer them clear of coming misfortunes. Traditionally, the living believe that the deceased have similar needs in the afterlife as in the natural world, and ancestors can request material benefits, i.e. offerings, to ensure comfortable lives in the next world. 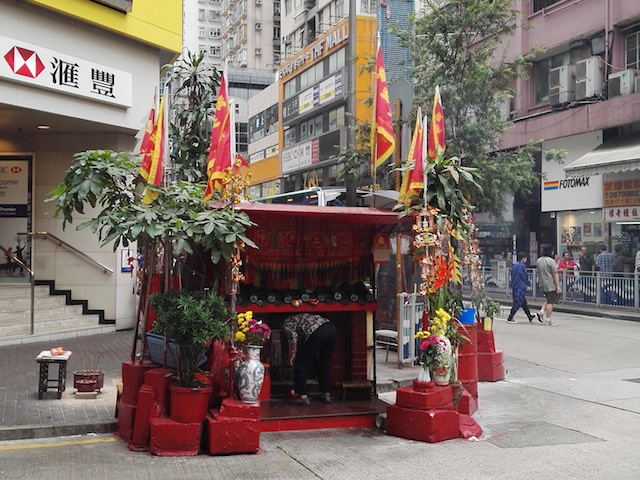 Another informant, Ms. Y, always buys plenty of paper offerings during the Ching Ming Festival, ranging from joss paper, gold coins, hell bank notes, gold ingots to personal electronics, clothes, cars, jewelry, and bags. Quality and usefulness are her primary considerations. It is easy to understand that high quality paper offerings produce less smoke when burnt, but hard to tell whether a product is useful or not, as the consumer is not Ms. Y, but her ancestors. How can she judge the value of these paper offerings? Or else, how can her ancestors inform her of their usefulness? Dreams are an important channel. She told me that she communicates with her ancestors in dreams, and they inform her of their needs. Thus, dreaming is an interactive process by which the living and dead can speak to each other. Dreams have long been regarded as a universal psychological phenomenon, and human souls are more solidly real than bodies in dreams, in the viewpoints and life-and-death connections they contain. Death might put an end to kinship in the natural world, but dreams renew these connections. To warn the living, mourn a death, or simply to communicate, dreams reflect the emotional attachment of the living to the dead, either driving them away out of fear or satisfying them to show respect. We inevitably live with regrets, but dreams help to move past this and maintain relationships. Meanwhile, deep in our minds, it is unforgivable for descendants to leave their ancestors behind. In exchange, communication with our ancestors in dreams proves that family morality will never disappear, even in modern societies. Apart from this, owing to the mystique of dreams, communication between the living and dead in dreams is considered a private interaction, which indicates that dreams cannot be manipulated by anyone, not even the dreamer himself. That’s why dreams have been endowed with the properties of objectivity and authenticity, and become a criterion by which decisions are made. Shop owners take advantage of this when selling paper offerings, by turning dreams into irrefutable evidence of their legitimate efficacy. Once again, the logic is circular: paper offerings are efficacious because ancestors visit my dreams, and they visit my dreams because the paper offerings are efficacious. Thus, it can be seen that folk religions succeed in providing a bridge between the natural world and the supernatural one in contemporary Han patrilineal societies, as well as reconstructing the folk beliefs of gods, ancestors, and ghosts through the process of knowledge reproduction. As a palimpsest on which later writings are superimposed on effaced earlier ones, the vanishing and vibrancy, the transformation and replacement, the renaissance and evolution of cultural knowledge over time, have all been woven together into the fabric of folk religions that we can still witness today. 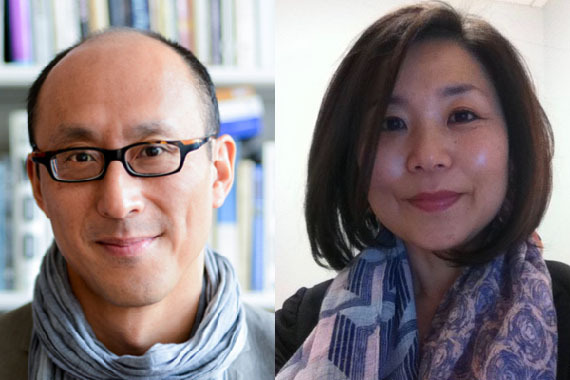 Yuling Zhong holds a masters degree in visual anthropology, with a special interest in the bodily experience of urban life, publishing as artistic practice, and the ethnographic turn in contemporary art. Her research is based in the southern Chinese cities, and her writing engages with Chinese and Western aesthetics, anthropology, and folk culture. She has co-curated an exhibition on independent publishing in Guangdong Times Museum, and currently works at a visual culture museum in Hong Kong.